Daryl Reaugh Explains Business Intelligence — . More accurately, Daryl Reaugh provides us with a succinct explanation of the need for quality business intelligence. For those with the misfortune of not being Dallas Stars fans, let me provide you with a bit of background. 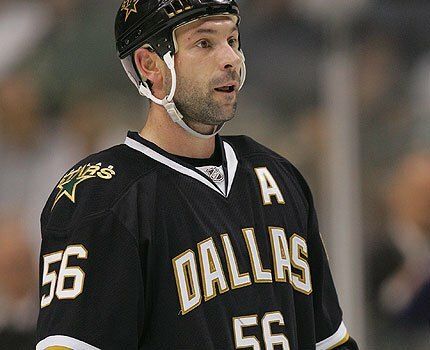 Razor (from "Reaugh," which is pronounced "Ray") calls the play-by-play for the Dallas Stars. He's also an excellent color commentator, a role he filled for years for the Stars. Here's what he said: you can drown in information and thirst for knowledge in this league. The smartest man at Microsoft*** was fond of saying, "I'd rather have no data than bad data." His point was that we don't just accumulate data because we've got hard drive space to fill. Data becomes information, which (hopefully) becomes insights, which fuel the decision-making process. Bad data, poorly extrapolated information, or incorrect/absent insights cause bad decisions. If you aren't confident in any aspect of the data spectrum, you need to carefully consider the actions you're going to take. The NFL play by play stats I acquired from Armchair Analysis is data. The calculations I produced on scoring first, scoring in the 1-2 punch, and more, are pieces of information. The conclusion that "Scoring first is more important than receiving the second half kickoff" is an insight -- it can be used to make a decision. So, to Razor's point -- that Armchair Analysis data is awesome. We're talking hundreds of thousands of plays, with all kinds of descriptive elements. But if I can't draw valid information from it and assemble the information into correct insights, the data is totally useless. Need an example? Look at the Internet. You don't even need to search for any particular topic. Just look at the Internet. Every day, the Internet produces virtual tons of data, and every day, people around the world absolutely sprint to terrible, kneejerk action based on partial or bad data, little information, and no insights. Sergei Zubov, the best defenseman in the history of hockey. Period. I'll come back to the subject of cultural business intelligence with specific examples in a future blog. I want to keep this one light and entertaining, so let's get back to hockey, with a really simplistic example. Currently, the top three goal scorers for the Stars are Seguin (32), Radulov (23), and Benn (21). They're also three of the four top assist generators, though Klingberg**** is dominating them all with 47. But this is simply data. You can't glance at these numbers and say, "Put Seguin, Radulov, and Benn on a line together, and hoist the Cup!" Is there a significant difference between Player X's home and road performances? Which combinations of two or three players perform better than other combinations? How does each player fare historically against particular teams? What does the history look like between Player X against specific opposing goalies? Against a given goalie, are teams more successful by racking up dozens of shots, or setting up a few quality opportunities? And so on. From this kind of information model, we can draw insights about strategy: who to play, who to put on lines together, what approach to take. Good coaches, of course, do a heck of a lot of this by gut feel. I assume/hope they're also using some actual data science these days, too, but either way, they've got Razor's knowledge in spades. Meanwhile, the rest of us enjoy the game and do our armchair analysis. Or in my case, folding seat analysis. We won't be able to hear your play-by-play Thursday, Razor, but feel free to give a wave to the front row of section 307. #GoStars! * The Stars are in the tenuous wildcard position right now for the playoffs, and it's going to be a hard run in the final ~20 games, so every defeat hurts. However, we upgraded our seats to a fun location at the Platinum level and enjoyed the season ticket holder reception, so it wasn't a total loss. ** Fortunately, I had to stay home from last night's game. Otherwise I'd have missed Razor's comment entirely, you wouldn't be reading this blog, and we'd all be missing out. *** His name was Glenn Wood. He was clearly the smartest man at Microsoft; he hired me, 18 years ago. **** Klingberg is almost as good as Sergei Zubov, the best defenseman to ever play hockey. Ever. You're welcome to think someone else was better, as long as you don't mind being wrong.